2007-2008 - Peeved with all the money I spent on the smashed M42, I wasn't willing to pay out for another M42 just for 140bhp. 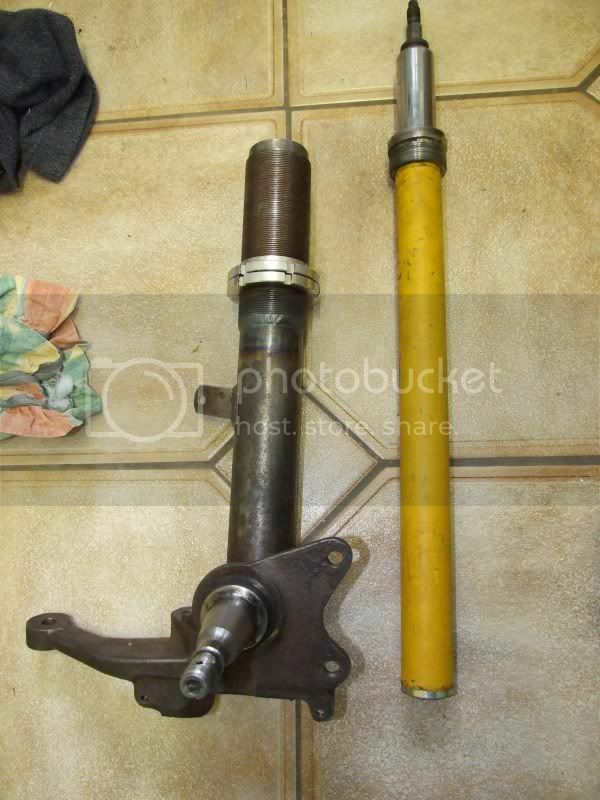 I bought a E34 525i donor and ripped it apart for it's non vanos M50B25, combining this with a dogleg gearbox. I created a custom subframe to fit the M50 at the "M50 angle" with the sump flat. I then realised I had no chance in hell that I could fit the exhaust manifolds because of the steering linkage location. I gave up on the conversion and let it sit for a few months. When I had a spare afternoon, I did a "what the hell" experiment fitted the M50 with E21 M20 metal engine mounts, to my surprise the engine fitted like a glove and also caused the E21 gearbox and prop to fit perfectly, it turned out the M20 and M50 share identical engine block dimensions. 2009 - With this discovery I turned the project into full force again. With the car in so many bits I decided to bite the bullet and buy another E21 and just swap the engine into. This new car turned out to be a lot more work than expected as it was RUSTY. 2009-2010 - The 316 is raped for its goodies (suspension, engine, etc) and these are fitted to the 323i. 2012 - I will hopefully building this back up before this summer. Excellent. I don't know what it is that I like so much about this car but am glad to know it's going to live to fight again. Seriously, good luck with the project! rob0r wrote: I got my struts back today from the engineers. They have had a section removed underneath where the coilover thread now sits and the struts were rewelded to keep the shock collar threads in place. I'm extremely pleased with how they've turned out and the quality of the guys work is great. I've tried to compare them to standard struts to get a better idea of what's gone on. 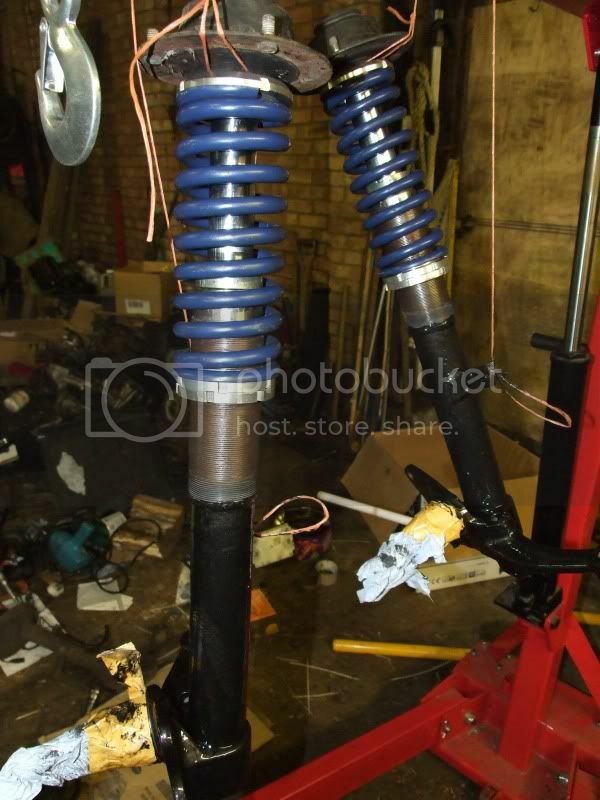 The shocks are E30 bilstein b6s. Hey, I realise this is an old post to ask a question about but here goes. I'm in the process of buying the required parts for coilovers and I want to shorten the struts to maintain suspension travel. I've written to Bilstein to ask this but nothing back yet. They are E30 Bilstein B6, mine were 2nd hand when bought and I believe they were removed from an E30 325i sport as one of the generations of sports had B6s as OEM fitment. 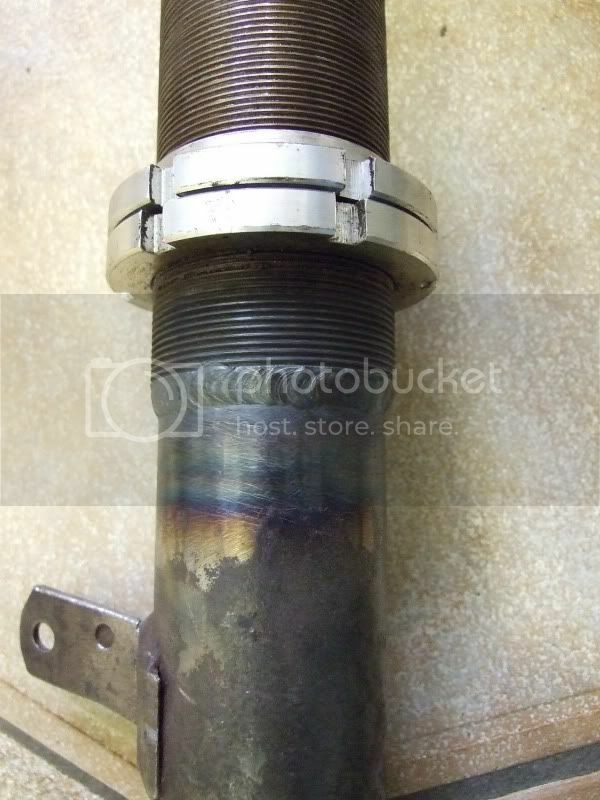 They are direct fitment as long as the strut is shortened the correct amount inbetween the bottom of the strut and before the threads for the big shock nut that holds the shock in place. The diameter of the shock shaft going into the top mount is also direct fit and I just used the top mount nut which came with the shocks. 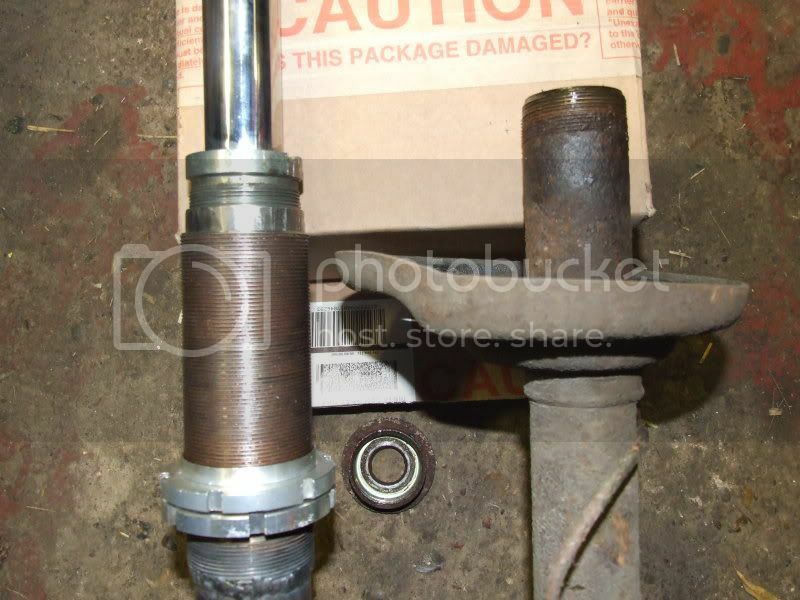 The shock body is much thinner than the original E21 323i shocks but this is how the B6s were also designed for the E30 large strut casings, the E30 shock nuts are designed to take up the slack and seat the shocks correctly. 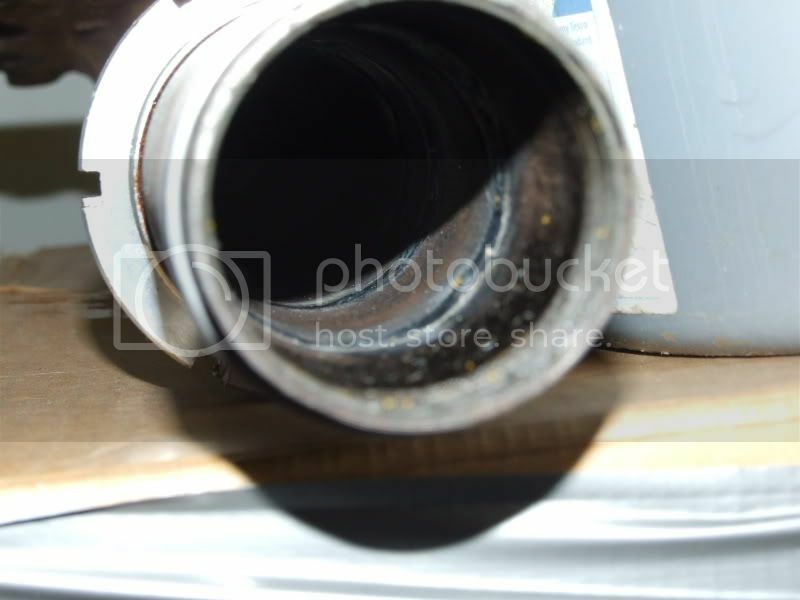 This has a bonus as you can be less careful of how much welds protude through the strut casing once the strut is welded back together after shortening. To recap: perfect fit if shortened correctly, use the E30 nuts that come with the shocks. The ride is flawless by the way, this was probably the best modification I've ever did for an E21. 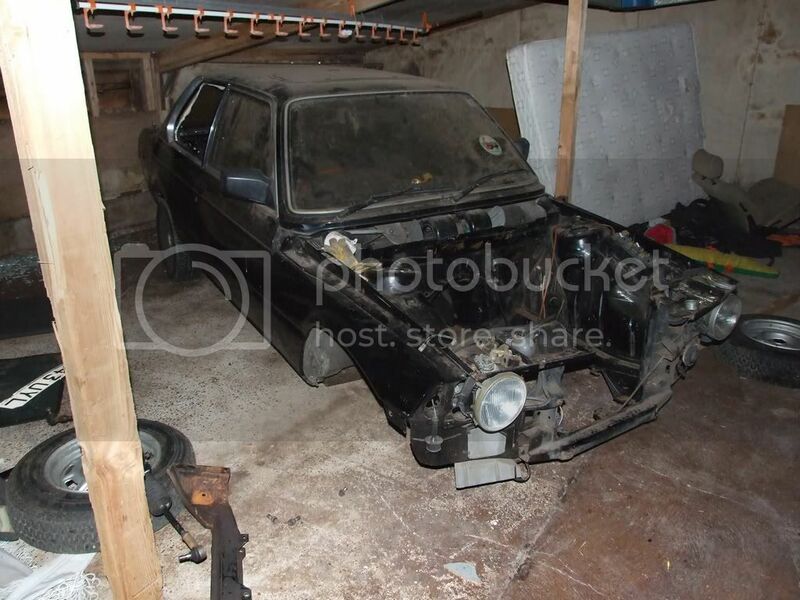 They ended up on my 323i M50 project as I never got this one off the ground and I gave them loads of abuse. 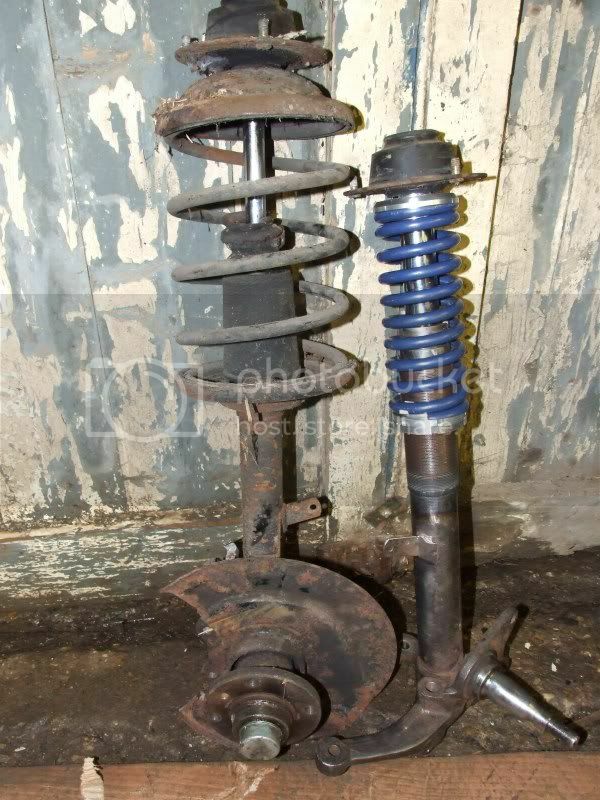 I also got a pair of struts converted for a mate, this time using E30 B8 shocks and using the above processes and it all fitted up perfectly too, as far as I know the B6 and B8 casings are either the same or similar. Ha yes, I've been making good use of the search function lately, its given me some good info! A brilliant answer, thank you just the info I was looking for. I think I'll go ahead and get these then, they sound like they'll tick all the boxes, plus that little bit narrower giving room to ensure good weld penetration is a bonus. I'll be keeping an eye out for this 316 then, it is in the best colour after all! !